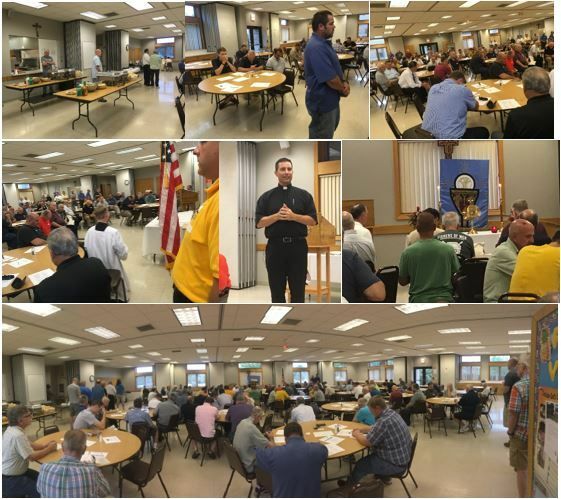 The August 14 Catholic Man Night was a great event. We had between 130 and 140 men together for Adoration, Reconciliation, a man feast, and a great talk from our Chaplain Father Burke Masters. See below for pictures and video of the event. Save the date for the next Catholic Man Night September 12 at St. Alexander Parish in Villa Park.